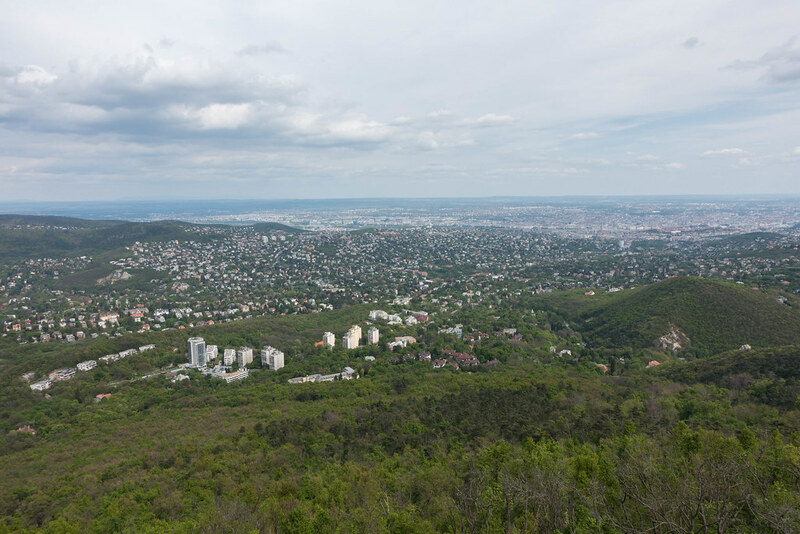 Just outside the city of Budapest, Hungary, lies the Buda Hills. 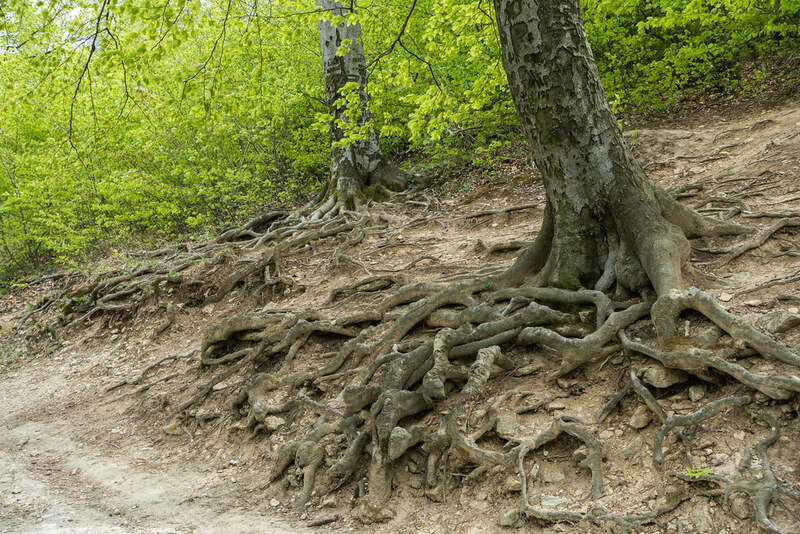 Covered with forest, dotted with attractions and criss-crossed by walking trails, this low mountain range is the perfect place to escape the city for some fresh air. 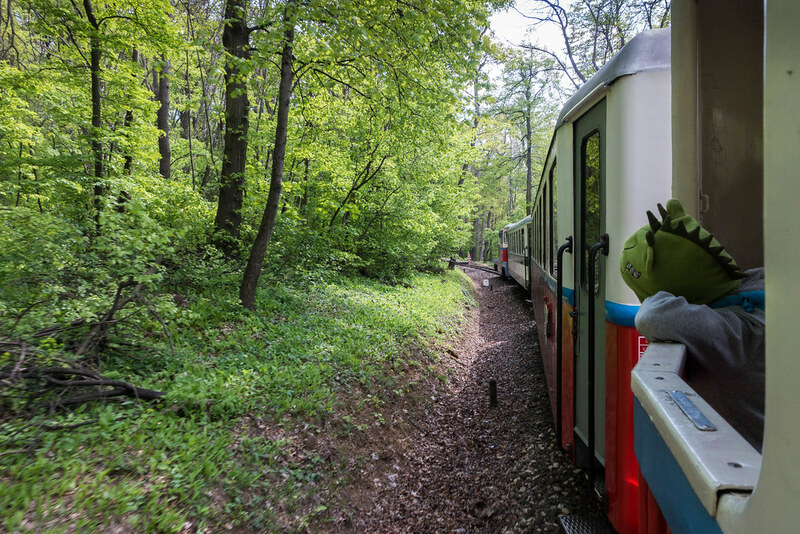 Throw in spectacular panoramic views, a chair lift through the trees, and a scenic railway ran almost entirely by children, and you’ve got an unmissable daytrip. 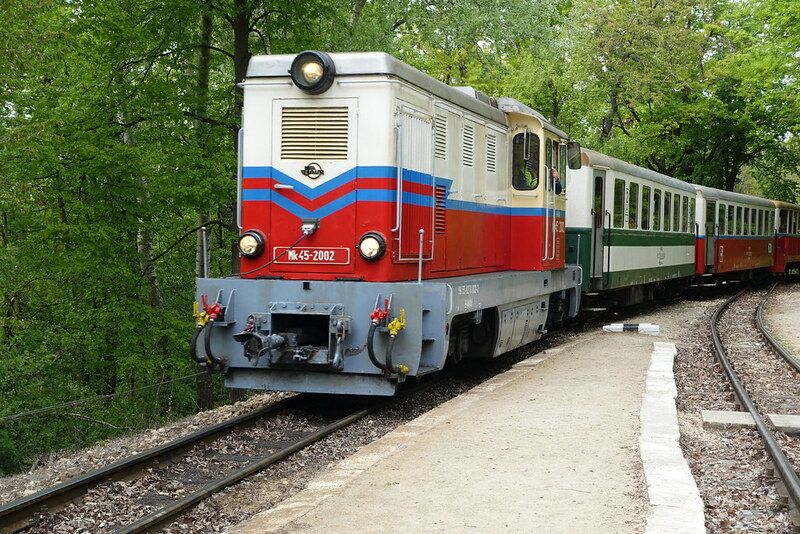 The 11-kilometre-long, narrow-gauge line was built in the late 1940s to be operated by the communist scouts. 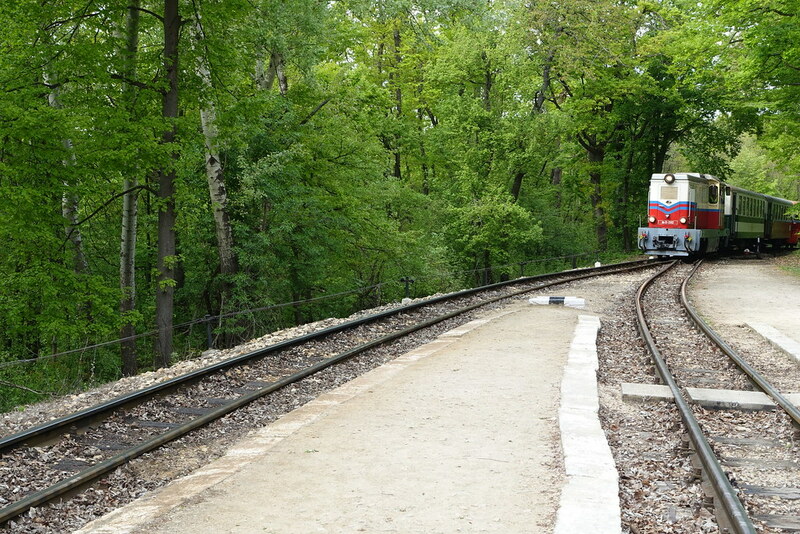 The regime may have changed, but the railway remains operated by children today with 10 to 14-year-olds fulfilling all functions (under adult supervision) except driving the train. It makes an already very enjoyable train ride into a one-of-a-kind experience! 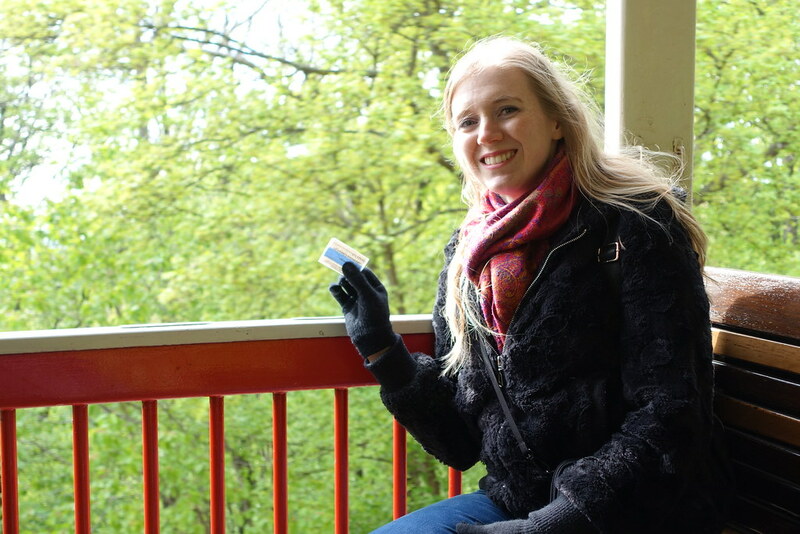 We started our journey at Hűvösvölgy, buying our tickets from a boy of around 14 in the ticket office. 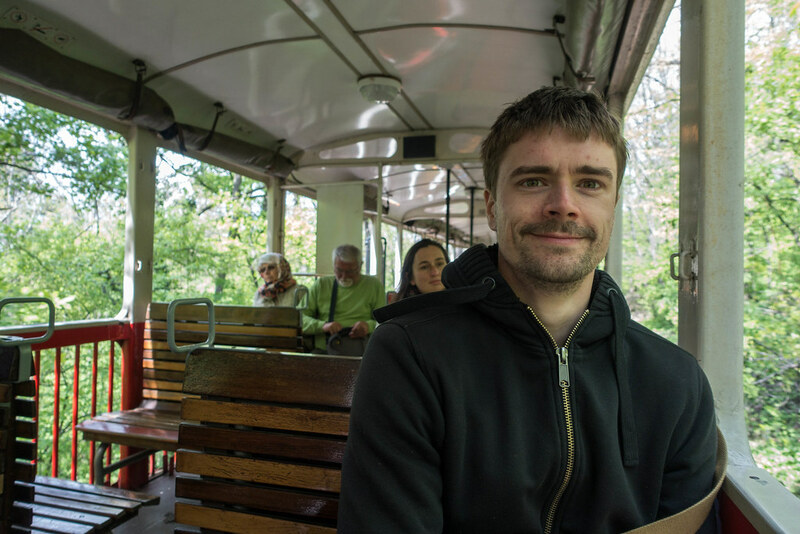 We sat in an open carriage, which meant the wind was rather cold, but worth it for the fresh air and unobstructed views of the forested hills around and beneath us. A pair of younger children (in the cutest uniforms), probably aged around 10, came round the carriage validating tickets. 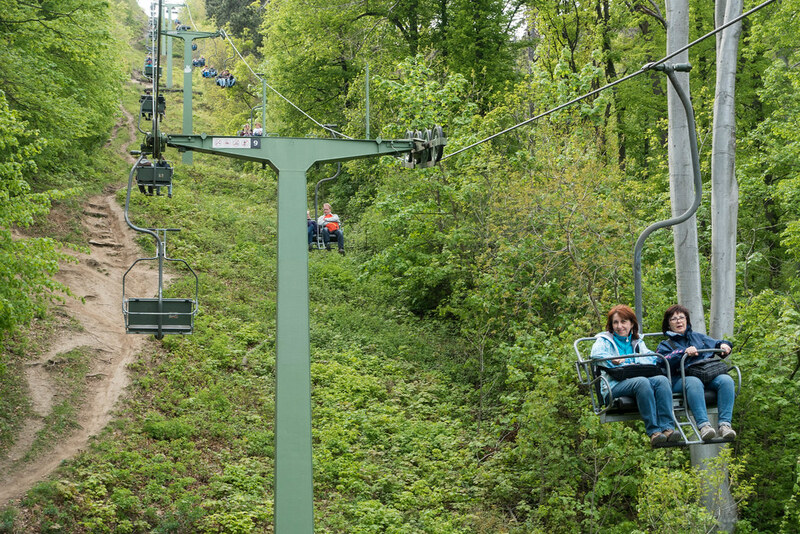 We alighted at János-hegy (Janos Hill), to visit both Erzsébet-kilátó (Elizabeth Lookout) and the Libegő (chair lift). 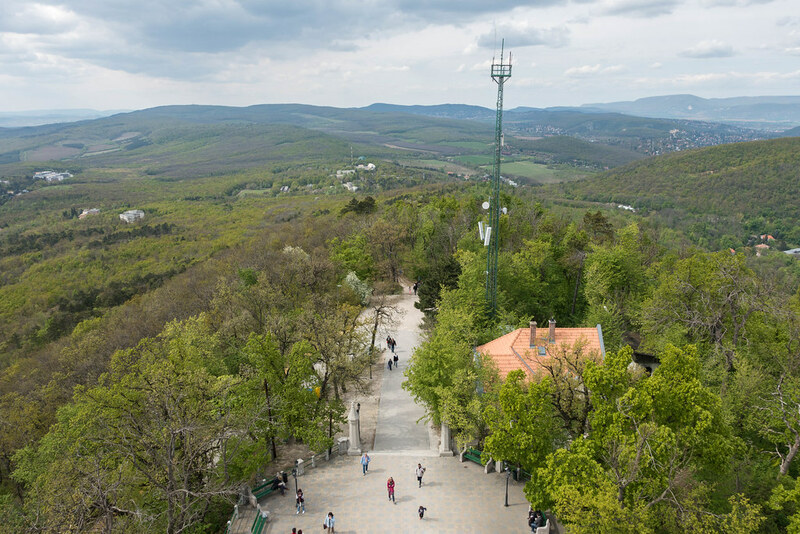 From János-hegy station it’s a walk through the forest of about 10 minutes to the playground, picnic area and chair lift station, and a further five minutes uphill to reach Elizabeth Lookout tower (there are clear signposts to each). The tower itself is beautiful, appearing to me like a single turret of a fairytale fortress. Theres a cafe at the bottom if you’re hungry. It’s free to enter and climb up to each of the floors, which offer amazing panoramic views over the city and surrounding countryside. It’s possible to pick out the Danube and Parliament from this birds-eye-view, which really helps put the city and its surroundings into perspective. 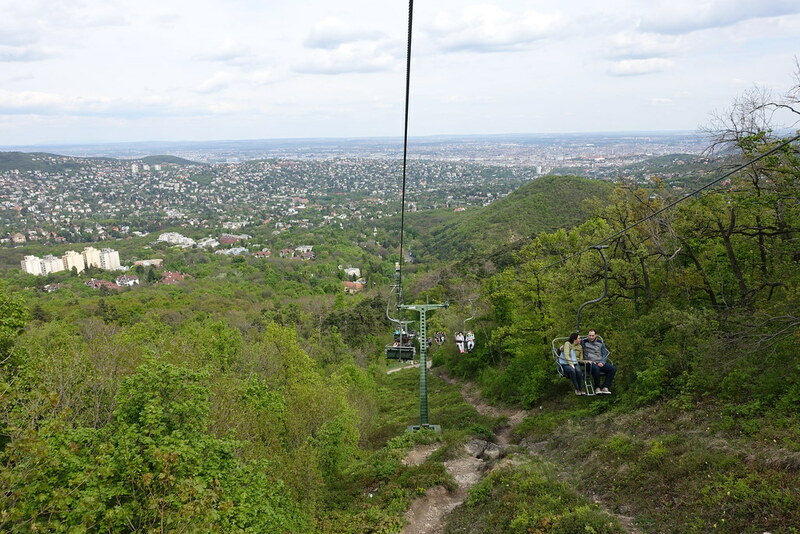 If you’re not bothered about the Children’s Railway, you can catch a bus to Zugligeti ut and get the chairlift up (and down again) as an easy way to enjoy the Buda Hills’ stunning vistas. 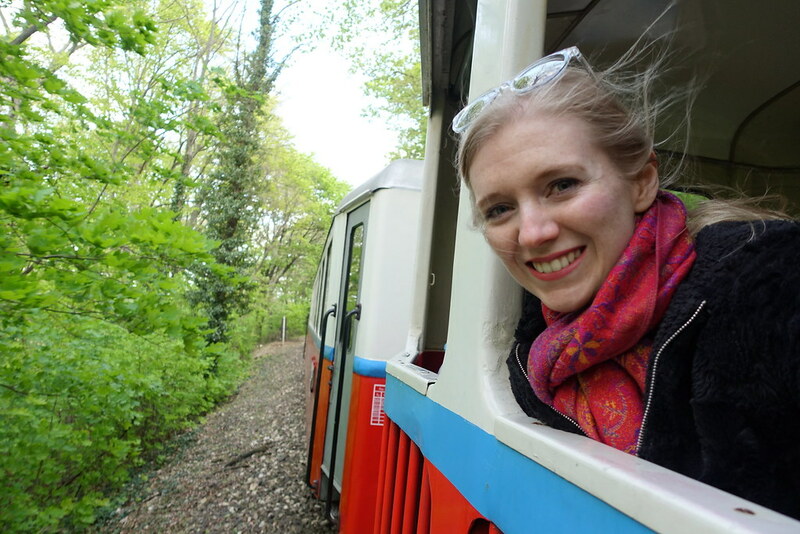 I loved the train so much that I couldn’t resist going on it again before we left. We re-boarded at János-hegy station (buying another ‘between stations’ ticket from a wandering uniformed child) and rode the train to Normafa, where we caught a bus back into Budapest. 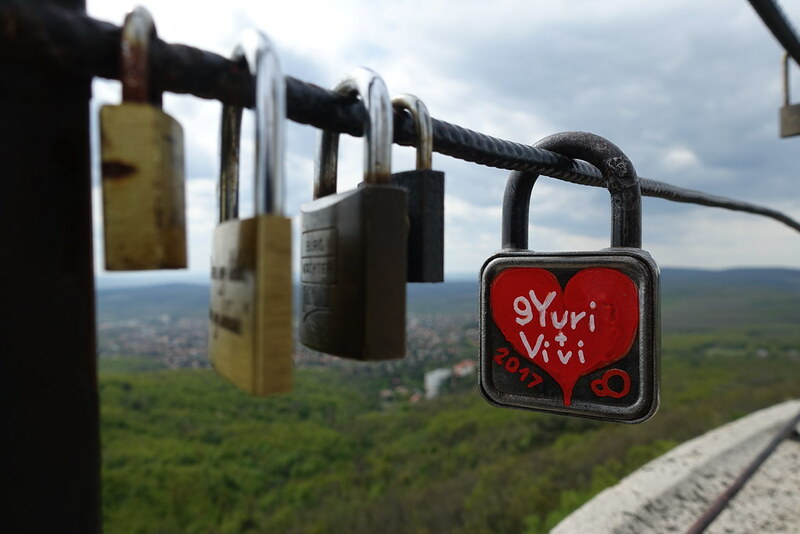 For more from Budapest, read about the city’s illustrated hostel and original ruin bar here. 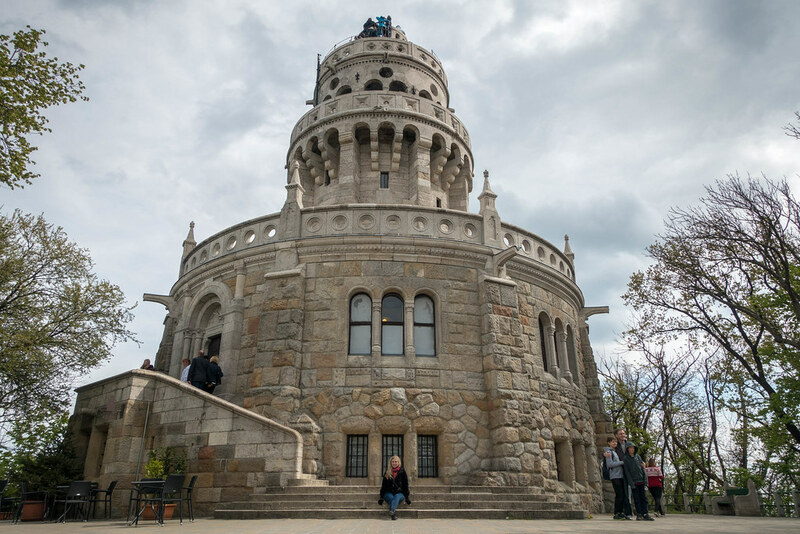 Posted in Central Europe, European cities, Reviews, TravelTagged Buda Hills, Budapest, chair lift, Children's Railway, Gyermekvasút, Hungary, János-hegy, libegoBookmark the permalink. My guess is that they take it in turns and do it as an extra-curricular activity!